‘Diario di una Schiappa’ has sold more than 3 million copies in Italy. This week, author Jeff Kinney visits his publisher in Milan—and a lot of young fans. 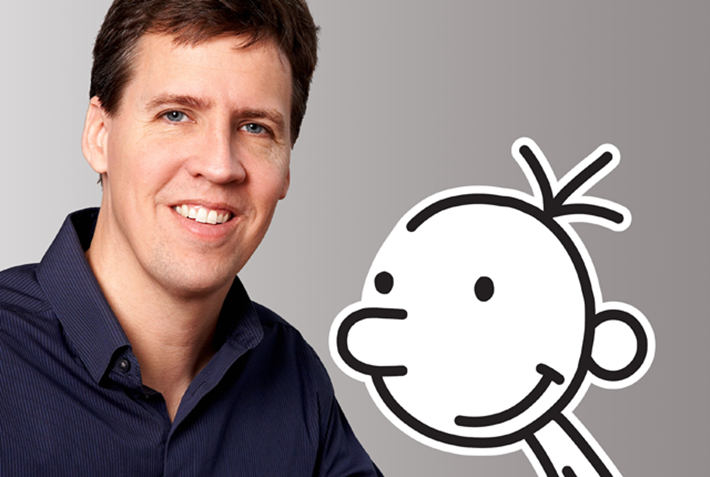 Jeff Kinney, creator of the Wimpy Kid phenom, is in Italy this week, hosted by a proud publisher, Editrice Il Castoro. On Thursday of this week (March 30), US Wimpy Kid author Jeff Kinney will be in Milan’s Galleria Vittorio Emanuele II at La Feltrinelli bookstore at the Duomo Square at 5:30 p.m., marking his first visit to meet a lot of ragazzi who love his work. By Sunday (April 2), he’ll have joined many industry players in the international children’s book industry on the eve of Bologna Children’s Book Fair, and will be at the Feltrinelli bookstore in Ravegnana Square at 11:30 a.m. Between those two stops, Kinney will be in Amatrice and Norcia on Friday (March 31), meeting with schoolchildren in two towns hit by an earthquake in 2016. His Italian publisher of 10 years, Editrice Il Castoro in Milan—which was shortlisted for London Book Fair’s International Excellence Awards in 2016—has organized this special trip at Kinney’s request. “He would like to call attention to such crucial issues,” the publisher says. And so he can: Kinney has sold more than 3 million copies of his Diaro di una Schiappa (Diary of a Wimpy Kid) books in Italy. One of the fun things about Kinney’s books is that you can easily recognize each book in both English and Italian by its cover cartoon. 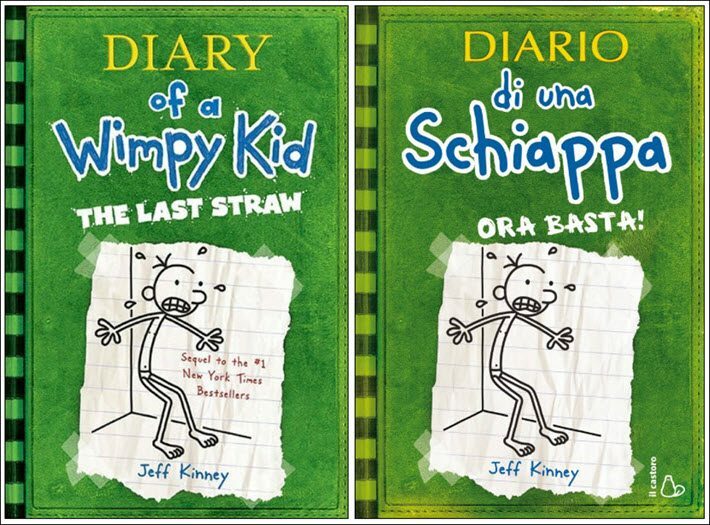 For example, The Last Straw (Diary of a Wimpy Kid, Book 3) in Italian is Ora Basta! and you’ll know it by Kinney’s sketch that could be any of us on a Monday morning. Worldwide, Kinney’s books have been translated into 53 languages (including Latin, thanks to Il Castoro), and the global total of copies sold tops out at some 180 million at the moment. Kinney is a Maryland native who famously developed his books when a newspaper cartoonist job didn’t pan out. And the independent house Il Castoro (which translates to The Beaver) now has released all 10 volumes of the Diary of a Wimpy Kid series in Italian. And when Publishing Perspectives asked Il Castoro president Pico Floridi how Italian children relate to the work, part of her answer holds that elusive value: books that are attractive to boys as well as girls. “We’re proud to have brought the Diary of a Wimpy Kid series to Italy, for several reasons,” Floridi says. “We’re first fans of Greg Heffley,” the eponymous Wimpy Kid, “and of Jeff Kinney. But we’re also proud because of the crucial power these books have on kids. And in order to drill down a bit more on the popularity of Kinney’s work in Italy, we asked the company’s Paola Malgrati for some insight. The Milan-based independent publisher Il Castoro has published the full 10-book series and other volumes of Jeff Kinney’s ‘Wimpy Kid’ work. Publishing Perspectives: Which of the Wimpy Kid titles has sold best in Italy? Paola Malgrati: The book that has sold best in Italy is the first one, with the distinctive red cover. It has become a classic in children’s literature all over the world, not only in Italy, by now. When a children’s book is loved by millions of readers all around the world and has reached such immense popularity, it can be safely called a classic. For this reason, as a sort of rightful literary recognition, we translated it into what has been called the noblest of languages: Latin. Two years ago we gave Monsignor Daniel B. Gallagher, official Latinist to the Pope (and the Latin Twitter account’s curator for Pope Francis), the challenge of bridging the language of Cicero with the speech pattern, idioms, and slang used by kids today. 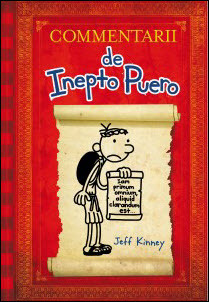 He has been the perfect translator to render Diary of a Wimpy Kid into Commentarii de Inepto Puero. That Latin edition has been a significant success in Italy, adopted in the secondary schools in the study of Latin. It has been sold to other European Wimpy Kid publishers such as Baumhaus for Germany and Penguin for the UK, and has been published by Abrams for the US and the rest of the world. PP: Other than Monsignor Gallagher’s Latin edition, who translates the Kinney books for you into modern Italiano? 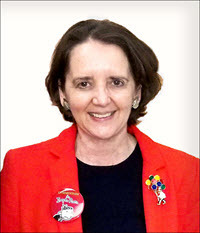 PM: The Italian translator of the whole Diary of a Wimpy Kid series is Rossella Bernascone, one of the most highly regarded Italian translators. She’s renowned for her translations of Conrad, Shakespeare, and Keats’ works. PP: Is there one part of Italy that seems most fond of the books? PM: The books are appreciated all over Italy. Boys and girls 8 to 12 years old simply adore them. Naples and the Campania region seem to particularly appreciate Greg’s humorous stories. We’ve noticed a higher penetration of the series in that area. The term schiappa has become a very friendly “common saying,” loved by all Italian kids. They relate a lot to Diary of a Wimpy Kid’s hilarious situations, and they’re a proud community of readers. PP: And Kinney has visited Italy with Il Castoro before, right? PM: Yes, he was our guest in 2011. We were the first publisher who invited him outside United States. We’re now eager to have him back, now that the Diary of the Wimpy Kid has reached such an amazing and outstanding success in Italy, as well as in other parts of the world. This week’s tour will be special in Milan and Bologna for public meetings in two of our leading Italian bookstores. And we’re so proud to take him to Amatrice, for a special meeting with children from territories struck by the earthquakes in the area. These tenacious schools and classrooms in Amatrice have become a symbol for the importance of public education and of strong social and cultural networks around kids.